Website Design | Graphic Design | Mobile | Video Production | FUll Service Advertising Agency - Untapped Resources, Inc.
Clients choose to hire us on a project-by-project basis or by utilizing our Flex Time offering. 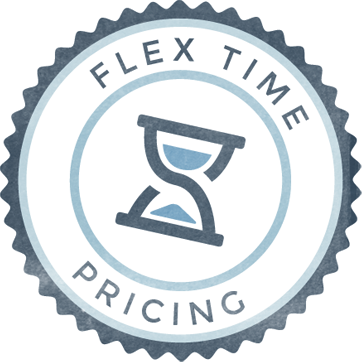 This innovative pricing model provides an annual block of time at reduced rates, allowing our clients to choose exactly how they want to use our diverse range of services. To help with cash flow, payments are broken up into 12 monthly payments. If conditions change, which they often do, our clients can simply reallocate our hours without incurring additional fees. This arrangement is perfect for an integrated campaign launch or for accounts that have on-going or unknown requirements.